Antibiotic Protocol - Piedmont Physical Medicine & Rehabilitation, P.A. Arthritis has been known to exist since prehistoric times. Over 37,000,000 people are currently suffering from some form of rheumatic disease, resulting in tens of billions of dollars in health care costs and lost productivity. This protocol provides the means of returning these people to an active, productive life through the safe and effective use of low dose antibiotics. This protocol views inflammatory rheumatism as a persistent, cell-mediated hypersensitivity created by long exposure to antigen (toxins) derived from a hidden or invisible microbial source (i.e., mycoplasma or closely related bacterial L forms). It appears that mycoplasma produce their effect in man by creating a cell-mediated response resulting from long-standing cellular parasitism with gradual sensitization of the host through intermittent antigen release from the cells. The therapeutic focus must be on eliminating mycoplasma. It is suggested that mycoplasma enter joint tissue when the cellular immunity is weak and remain as parasites for many years. Over time, the body produces antibodies, which represent the defense mechanism of the cells, against the mycoplasma. Eventually, the antibodies begin to increase in concentration in the tissues surrounding the cells that are infected. Finally, when the concentration become sufficiently high, the stage is set for a reaction to occur between the two forces: the extra-cellular antibodies and the intra-cellular mycoplasma. The beginning of the disease in the clinical sense is when the two forces are thrown together by injury, stress, barometer alterations, or other environmental factors. The initial reaction is one of inflammation in the spaces between the cells and this rapidly extends to produce hot, swollen, tender joints and painful surrounding soft tissues. This inflammatory reaction is designed to keep the infectious process from spreading. Unfortunately, it also becomes a barrier to the entry of more of the body’s defense forces. This helps account for the chronic, unrelenting nature of the disease process. The body’s immune system is not so easily tricked, however. Various immune cells create a large supply of mycoplasma specific antibody, ready to used the next time that the mycoplasma and its antigen become exposed. Hence, a “hypersensitive state” develops. This state also accounts for the high degree of localization of mycoplasma foci. A delicate balance exists, until something disturbs it from either side, causing the next wave of infection or inflammation. As a result, it is not desirable to use standard anti-microbial therapy. High doses of antibiotic can kill too many mycoplasmas at once, causing them to release excess antigen, while any surviving remnants burrow themselves further inside the body’s joints and soft tissue. The primary objective of treatment is the suppression of antigen production while avoiding the sudden release of excess antigen and delayed drug sensitivity to over-medication. Effective treatment utilizes relatively low dose medication, interrupted dosing, and long-term treatment. In all microbial hypersensitivity states, the causative agent virtually goes underground as the tissue reactivity becomes manifest. Thus, in the highly reactive state, very little anti-microbial medication is needed to further control the disease. And if too much is given, the body begins to react against the medicine itself and defeats the purpose of the treatment. This is the main reason for the intermittent treatment. The fundamental treatment goal in the induction of a sustained remission is to control and suppress antigen production. The final objective is the ultimate elimination of the microbial agent. In the primary objective, the suppression of antigen production, dosage needs to be tailored to the individual patient. Medication may need to be reduced to the minimum, such as minocycline, 50 mg. once or twice a week, gradually increasing according to patient tolerance. An important guideline in successful treatment has been the avoidance of over-medication with paradoxical worsening. Too much medication can cause a delayed hypersensitive reaction to the drug itself and induce a flare of the arthritis with the development of symptoms closely mimicking the disease (Herxheimer Reaction). The Herxheimer flare is the first indication that the antibiotic is reaching its target, and therefore considered a good sign. A therapeutic balance can be readily reestablished by the temporary interruption of the treatment for a week and then restarting at the same low dose. In the endocrine system gland functions are depressed. There is an effect upon the digestive system and many other basic physiological processes. Every organ system may be involved at one time or another. 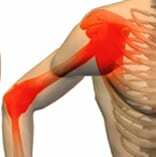 Patients who experience severe symptom onset, which then rapidly subsides without residual change, and who have recurrent, similar episodes, seem to be less likely to develop destructive joint changes than patients in whom the onset is gradual with smoldering involvement. In the course of time, through the continuity of antimycoplasma treatment, there is a gradual reduction in inflammation and symptoms generally diminish. Treatment must be directed on two fronts: the hypersensitivity state and the microbial cause. 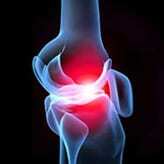 The inflammation is treated with an anti-inflammatory and the suppression of the microbial infection with antibiotics. Since intermittent antibiotics are more viable for patient safety, treatment can be continued for years. A proper chemotherapeutic approach must recognize that tetracyclines and erythromycins are effective against many mycoplasma infections; some are resistant to one strain or the other. Mycoplasma testing to isolate the strain helps determine if they are present and facilitates antibiotic selection. A complete health, nutrition, and disease management program is often helpful in reducing total load (all factors that prevent you from achieving optimal healing). While this protocol has provided excellent results by itself, other medical conditions that cause pain, weakness, and numbness should be addressed (see the paincure: diagnostic testing and wehelpwhathurts links in this site). Enteric-coated aspirin can be useful; however other anti-inflammatory drugs have been proven to have fewer side effects. Because of the individualized response to NSAIDs, the choice of drug will depend upon individual patient response and any associated medical conditions. In addition to the stomach, renal, and liver side effects of these medications, their mechanism of action can significantly affect gastric absorption. Optimal nutritional status is most helpful to fight off infection, and every attempt should be made to reduce side effects whenever possible. In people who have native allergies such as hay fever and asthma, anti-histamines and even corticosteroids in very small doses (less than 5 mg a day) can be helpful. All of these medications should only be used under the direction of your physician. In some cases with less severe disease, improvement may be achieved within a matter of weeks. However, patients must be advised that the treatment is extremely gradual and may take six months to a year before much improvement can be seen. In more severe or long-term patients, it can take much longer (2-5 years). Patients with severe or long-standing disease are started on a low dose of oral minocycline or doxycycline, with the eventual goal of increasing the dose to 100 mg once daily, on Monday, Wednesday and Friday. Alternatively, tetracycline 250 mg twice daily may be used. If the medication tends to aggravate the condition, it is spaced differently, maybe to once a week or twice a week, and gradually increased to the M-W-F dosage. Some patients are so highly sensitized to drugs that they can only tolerate minocycline or doxycycline 25-50 mg once every two weeks or even once a month. In the evaluation of exacerbations, the patient and physician together must remain aware of flares from other causes, and should attempt to differentiate those causes from a drug-induced reaction. For those who are too sensitive to tolerate oral dosing, alternative IV or IM antibiotic treatment may be required. When the severity of the condition begins to lessen, larger doses of antibiotic are tolerated without a return of the Herxheimer flare reaction. If, however, the dose has been increased too rapidly at any time, the initial flare reaction may occur again. For those who have less severe or early disease, the optimum standard M-W-F regimen may be tolerated right from the start. It is important to work with your doctor as dosing is highly individualized. If there are other associated infections, they must be treated as well. There may be little objective improvement during the first three months of therapy. In these cases, any improvement in the ensuing three to nine months, when it occurs, is quite gradual. The first sign may be a shorter duration of morning stiffness or a general feeling of well-being lasting initially for perhaps an hour or two and gradually increasing to more good days and fewer bad days with a longer time span in between. As antimycoplasma therapy continues, toxic substances are gradually reduced and normal functions begin to return. Strength increases and blood counts rise to normal levels. Mental acuity, ability to concentrate, a return of interest in work, and a reduced sense of irritability all become noticeable dividends. Many patients need to continue treatment indefinitely; however, in those with less severe disease, the antibiotic dose may be lowered once all symptoms have abated. For some patients, this treatment provides a permanent remission and no further medication is needed. Still other patients need to stay on a maintenance dose to keep the disease under control. If medication is discontinued too soon, a rebound effect may occur which can be more severe than the original disease. If symptoms should return, restarting a short course of antibiotic may be sufficient to put the patient back in remission. Repeat courses at short intervals may be needed and will usually re-establish the remission for an indefinite period. Tetracycline derivatives and erythromycin are both highly effective and safe antimycoplasma medications. Mycoplasmas, unlike bacteria, do not possess cell walls but rather have only thin covering membranes. Thus, long-term exposure to antimycoplasma antibiotics would not be expected to create bacterial resistance. In over five decades of use, no ill effect from medication has been experienced, except the emergence of delayed sensitivity as with all drugs, but on a level that is very easy to manage. 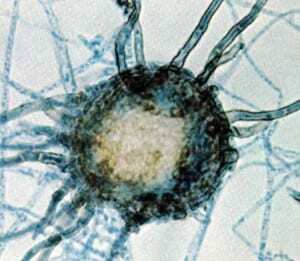 Candida is not usually a problem, but in some patients it can become severe. Acidophilus, probiotics or other anticandida interventions should be prescribed both as needed and in a preventive manner. Testing should be done regularly to prevent and monitor for an overgrowth. 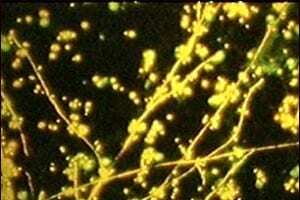 If persistent candida is a problem, it should be treated concurrently with the mycoplasma. Patients stay on medication until all laboratory tests return to normal. Some patients indicate they began to feel better long before their laboratory results improve. The converse can also be true. This protocol is compiled largely from the published works of Thomas McPherson Brown, M.D., the physician who pioneered and developed this treatment over fifty years ago. This document has been adapted from its original full text, which is available at www.roadback.org.